Plan Tech manufactures high-quality labeling urethane rollers for a wide range of industrial applications. Plan Tech has been in the field of manufacturing high-quality urethane products that meet the need of emerging technological demands for over 30 years. Our labeling urethane rollers come in different colors and are easy to install with a high-performance ability. In addition, Plan Tech labeling urethane rollers are available and can be custom made to meet your specification. They are made of high strength, durability, high performance, and a fine finish. Our labeling urethane rollers are available in different sizes and are used in the steel industry, packaging industry, marine industry, food processing Industry and lots more. They are used for attaching labels to all types of products. The labeling urethane rollers ensure that the label is securely stuck down smoothly and neatly onto the product. This is one advantage urethanes hold over metals that require no debate. While metals are generally renowned for their remarkable ability to produce noise, polyurethanes, on the other hand, absorb noise thereby preventing it. Not even plastics and metals can resist significant impact like urethanes. Where urethanes can offer an outstanding load-bearing performance, most plastics and metals will succumb to the shock and impact of higher loads and eventually break down. 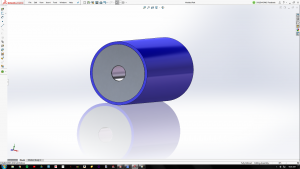 Are you interested in cast labeling urethane rollers? Please Contact us so we can help solve your requirements and work with you on your specific application!